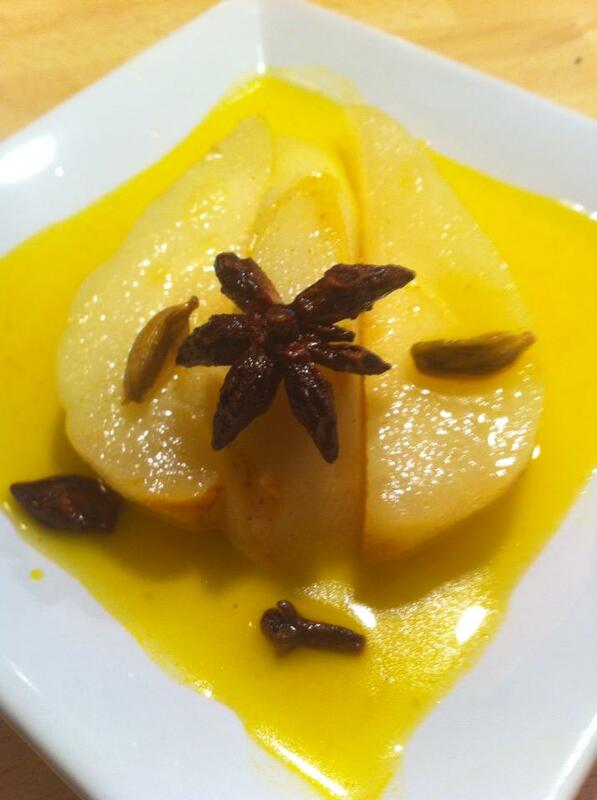 Saffron and herb marinated pears are super delicious. The spices fits so perfectly with the fruit. Chose pears because it’s my favorite fruit, but other fruit works as well. I love playing with spices and you should not be afraid to use them. They lift and turn an ugly duckling into a beautiful swan. Boil the sugar, spices and water. When sugar has dissolved, then put the fruit. Allow it may simmer until the fruit has softened slightly but still some resistance in them. Let them cool and allow to soak in the broth for a few hours before serving.